Also available as a 2'6" size.. 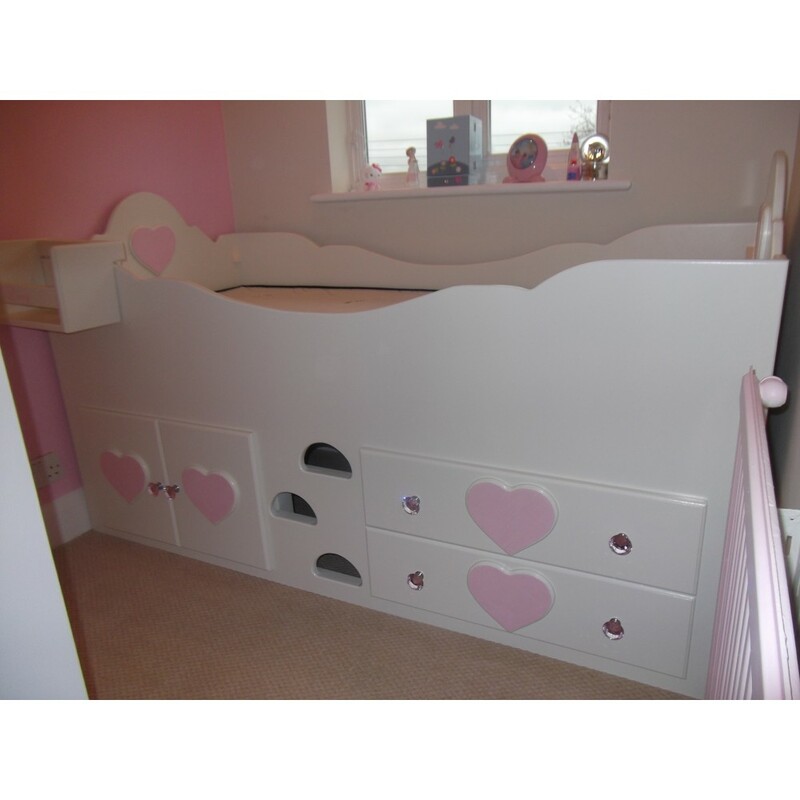 Bed shown is off-white with pink hearts and added (the finishing touch) flat pink crystal knobs! A simple yet stunning bed for your little princess. Can be made bespoke. 78" long x 39" deep (or 33" deep if a 2'6" size). Full range of matching furniture available also with hearts! Price excludes mattress (standard 3') and hook over shelf.